Superkilen is a collaboration between the arts group Superflex, Bjarke Ingels Group (BIG), the German urban space design group Topotek1, and local residents! 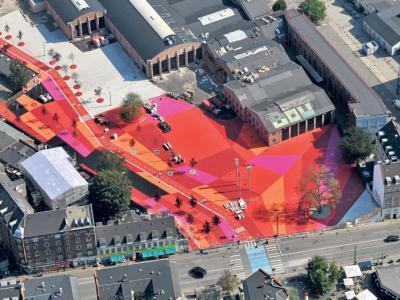 Together they created a colourful example of urban public space design. undeniably eye catching, yet some questions ( e.g.social interaction, beauty versus accessibility) linger until the better weather approaches and the park officially opens.